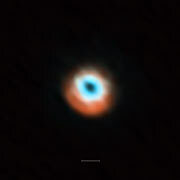 Astronomers using the Atacama Large Millimeter/submillimeter Array (ALMA) have found the clearest indications yet that planets with masses several times that of Jupiter have recently formed in the discs of gas and dust around four young stars. Measurements of the gas around the stars also provide additional clues about the properties of those planets. Planets are found around nearly every star, but astronomers still do not fully understand how — and under what conditions — they form. To answer such questions, they study the rotating discs of gas and dust present around young stars from which planets are built. But these discs are small and far from Earth, and the power of ALMA was needed for them to reveal their secrets. A special class of discs, called transitional discs, have a surprising absence of dust in their centres, in the region around the star. Two main ideas have been put forward to explain these mysterious gaps. Firstly, the strong stellar winds and intense radiation could have blown away or destroyed the encircling material . Alternatively, massive young planets in the process of formation could have cleared the material as they orbit the star . The unparalleled sensitivity and image sharpness of ALMA have now allowed the team of astronomers, led by Nienke van der Marel from the Leiden Observatory in the Netherlands to map the distribution of gas and dust in four of these transitional discs better than ever before . This in turn has allowed them to choose between the two options as the cause of the gaps for the first time. The new images show that there are significant amounts of gas within the dust gaps . But to the team’s surprise, the gas also possessed a gap, up to three times smaller than that of the dust. This could only be explained by the scenario in which newly formed massive planets have cleared the gas as they travelled around their orbits, but trapped the dust particles further out . Remarkably, these observations were conducted utilising just one tenth of the current resolving power of ALMA, as they were performed whilst half of the array was still under construction on the Chajnantor Plateau in northern Chile. Further studies are now needed to determine whether more transitional discs also point towards this planet-clearing scenario, although ALMA’s observations have, in the meantime, provided astronomers with a valuable new insight into the complex process of planetary formation. This process, which clears the dust and gas from the inside out, is known as photoevaporation. 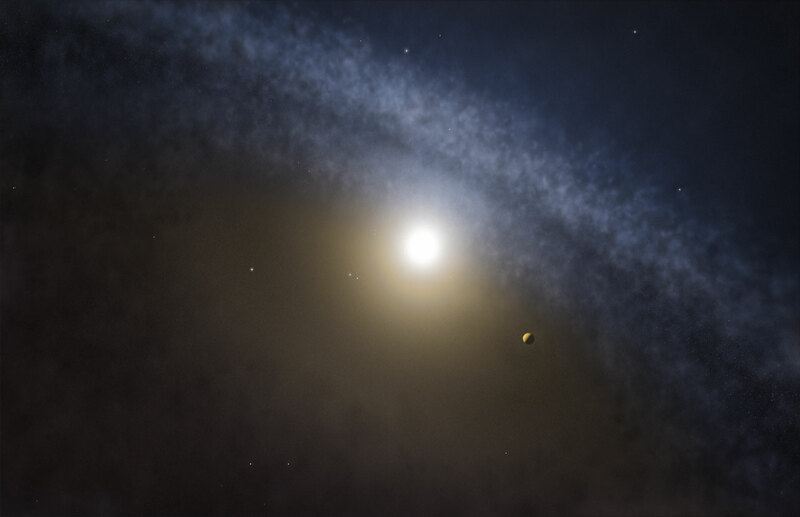 Such planets are difficult to observe directly (eso1310) and previous studies at millimetre wavelengths (eso1325) have failed to achieve a sharp view of their inner, planet-forming zones where these different explanations could be put to the test. 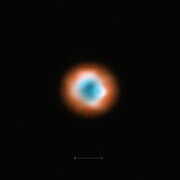 Other studies (eso0827) could not measure the bulk of the gas in these discs. The four targets of these investigations were SR 21, HD 135344B (also known as SAO 206462), DoAr 44 and Oph IRS 48. The gas present in transitional discs consists primarily of hydrogen, and is traced through observations of the carbon monoxide — or CO — molecule. The process of dust trapping is explained in an earlier release (eso1325). Other examples include the HD 142527 (eso1301 and here) and J1604-2130 transitional discs. This research was presented in a paper entitled “Resolved gas cavities in transitional disks inferred from CO isotopologs with ALMA”, by N. van der Marel, et al., to appear in Astronomy & Astrophysics in December 2015. The team is composed of N. van der Marel (Leiden University, Leiden, the Netherlands; Institute for Astronomy, University of Hawaii, Honolulu, USA), E. F. van Dishoeck (Leiden University, Leiden, the Netherlands; Max Planck Institute for Extraterrestrial Physics, Garching, Germany), S. Bruderer (Max-Planck Institute for Extraterrestrial Physics, Garching, Germany), S. M. Andrews (Harvard-Smithsonian Center for Astrophysics, Massachusetts, USA), K. M. Pontoppidan (Space Telescope Science Institute, Baltimore, Maryland, USA), G. J. Herczeg (Peking University, Beijing, China), T. van Kempen (Leiden University, Leiden, the Netherlands) and A. Miotello (Leiden University, Leiden, the Netherlands).